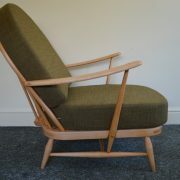 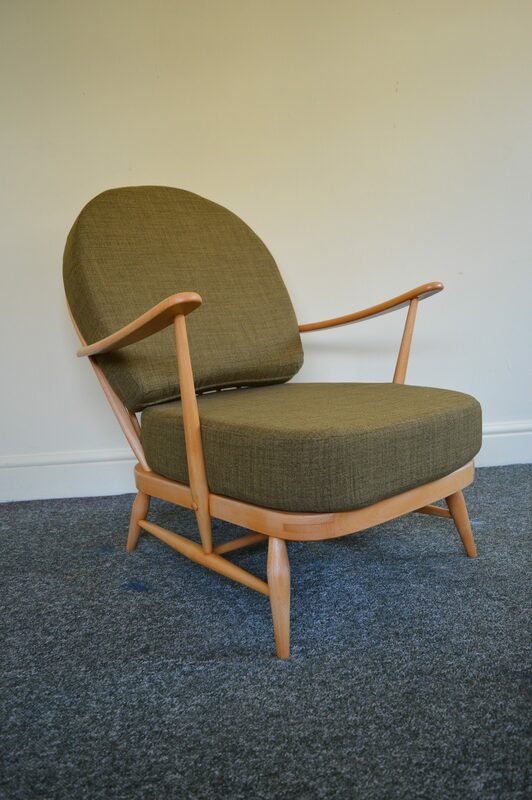 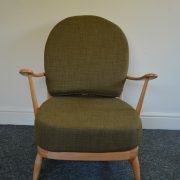 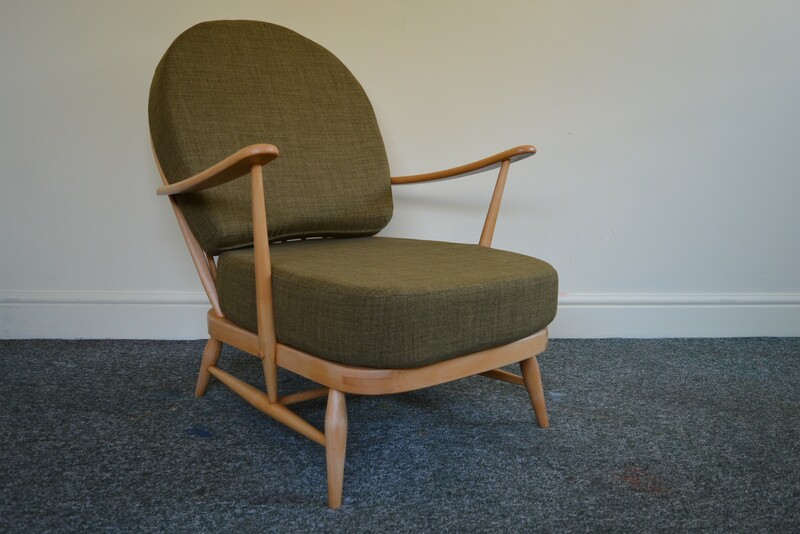 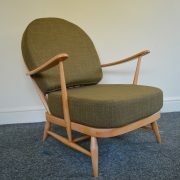 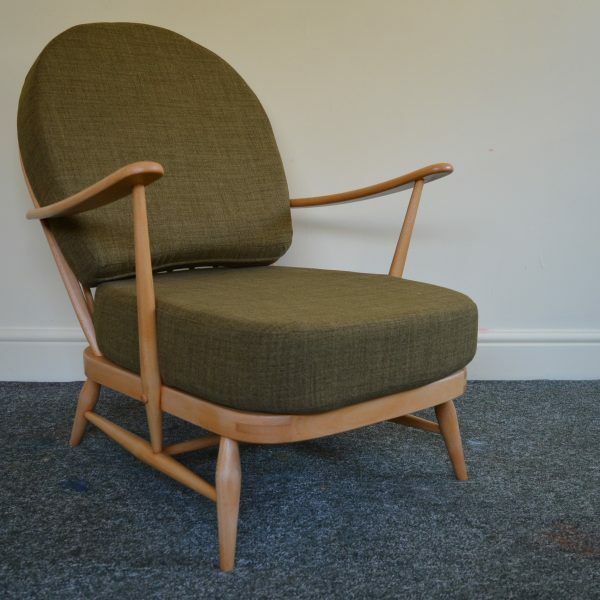 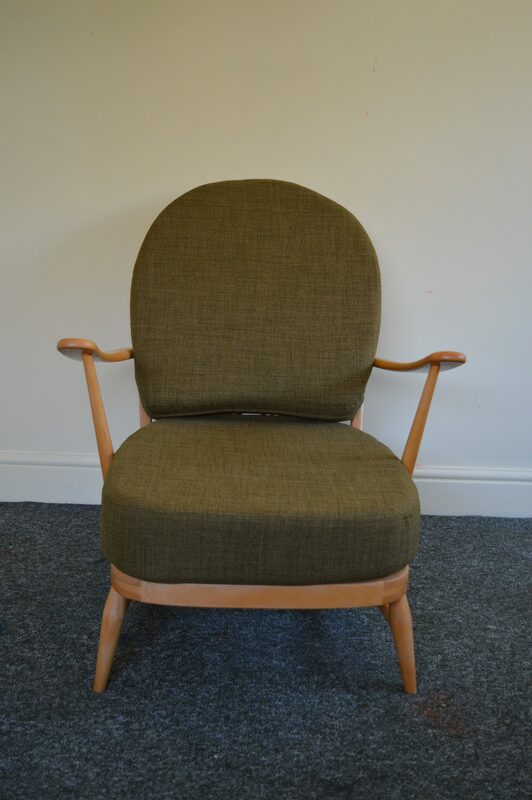 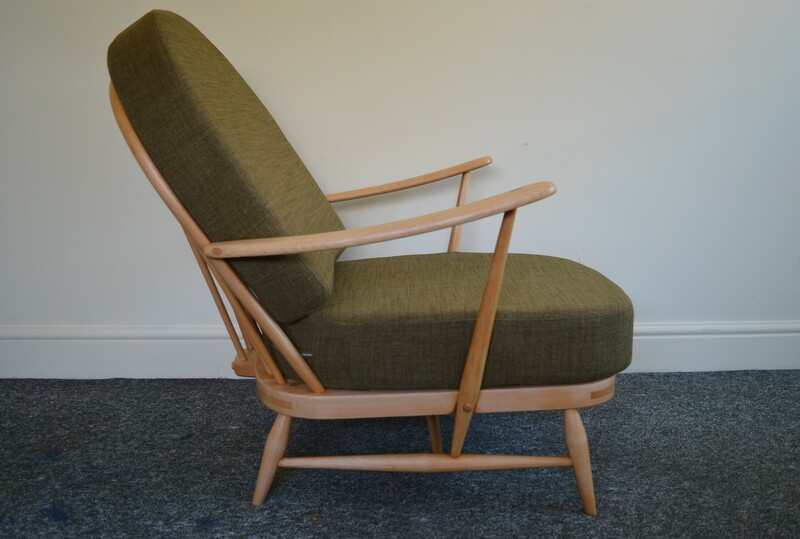 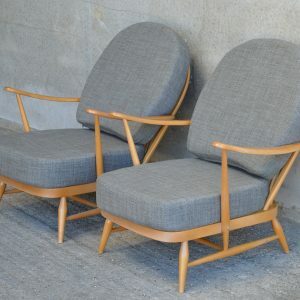 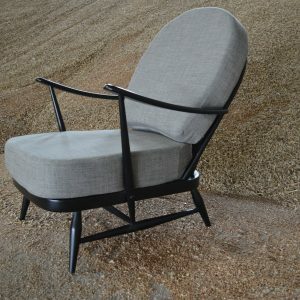 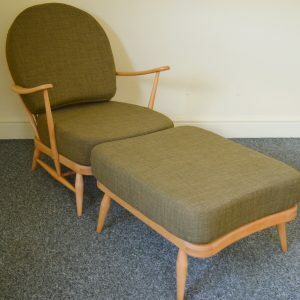 This vintage Windsor armchair is a perfect example of Ercol’s timeless style. 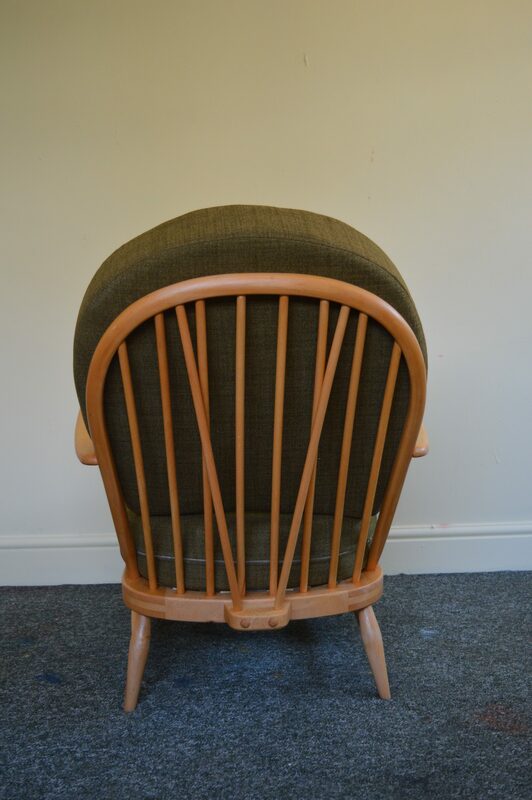 The bent beech frames have been carefully and professionally refinished to bring out the natural sheen of this lovely wood. 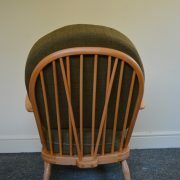 It has been rewebbed using the highest quality Pirelli rubber webbing and traditional techniques. 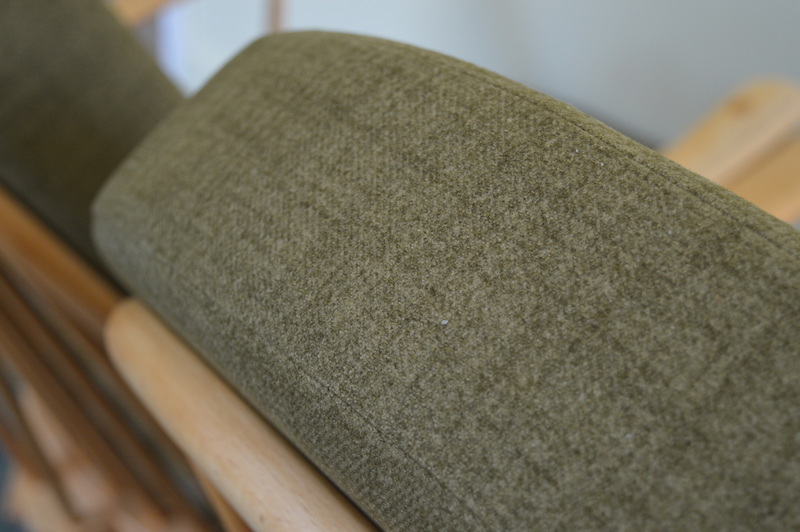 The new cushions are made from top quality foam (5″ Reflex for the seat and 4″ luxury foam for the back). 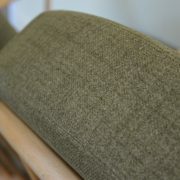 Professionally upholstered, the new covers are handmade in soft green fabric and fit the cushions perfectly. 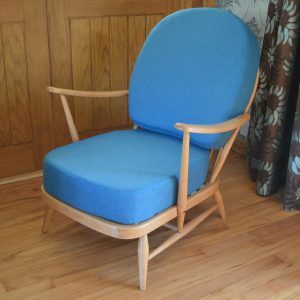 Custom options are available for this chair: we can make covers in other colours and fabrics, as well as using your own fabrics: please contact us for further information.